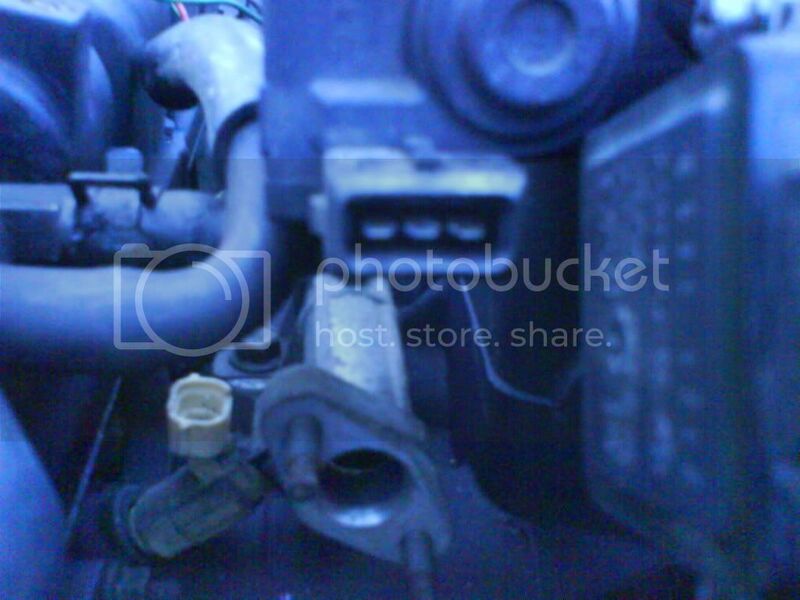 I made sure i was on level ground, and i put a level on the throttle body. Only did this for side to side, NOT front to back. The front and back should be the same as stock as no mounts were modified. Oh, one more thing. 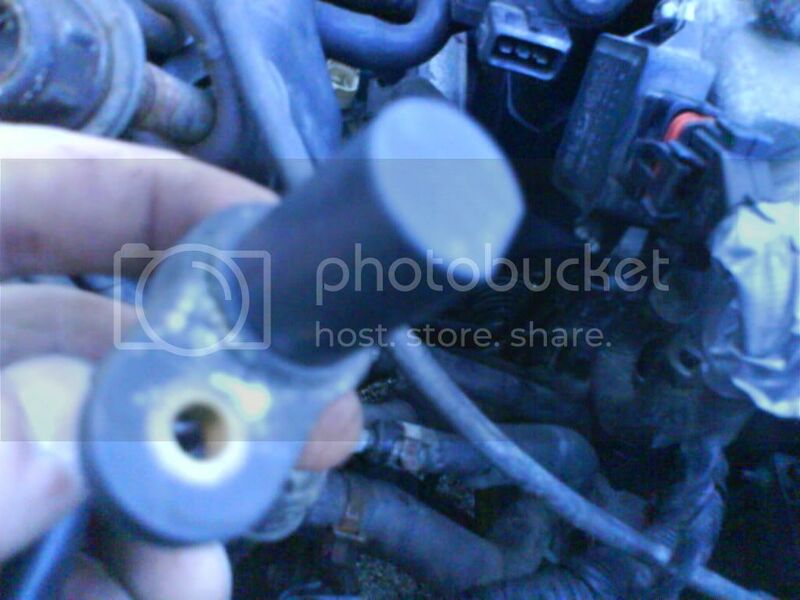 I cannot use the spark plug cover, it rubs on the hood. Besides that it fits great, I do have rubbing when I turn. This is due to the pass side mount, i made it pushing the motor to far over. I will fix this over the summer.. 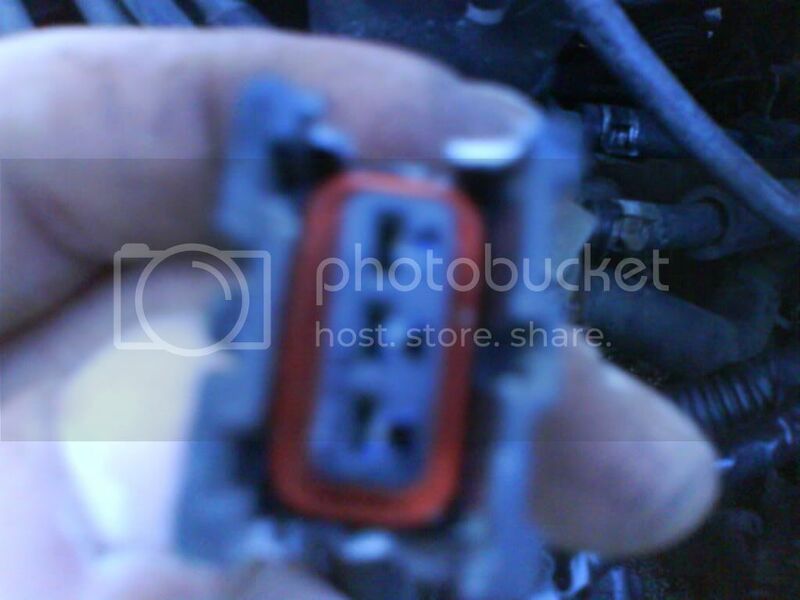 This is what the connector looks like. All in all my swap is going fantastic. The ECU/Starter/Alternator will be here tomorrow and I'm gonna put the axles back in and get it off the jack stands as well. Is the sensor from the Beta or the Alpha? That does appear to be the IAC. You might have to use the Beta connector and splice in the wiring. If I knew where the sensor went I wouldn't have this pickle. I don't have the head or IM from the alpha anymore since I took my cans in for recycling last week. I'm gonna look for engine bay pics somewhere and see what that tells me. Yeah it's the Alpha connector. No I don't have a cvvt motor. It came from an 02 elantra. I checked it out before I bought it. There aren't any U-Pullit places local for me to go grab the sensor connector from. If i remember correctly, I didnt have to re wire the IAC sensor. It should be PnP. ha posted 09. I thought it was recent post. lol.